Financial and Legal Insurance are proud to announce that we have been shortlisted in the Insurance Provider of the Year category once again at this year’s Personal Injury Awards. The awards will take place on the 28th November at the prestigious Hilton Deansgate in Manchester. We are honoured to be named in a category alongside some of the biggest names in insurance. 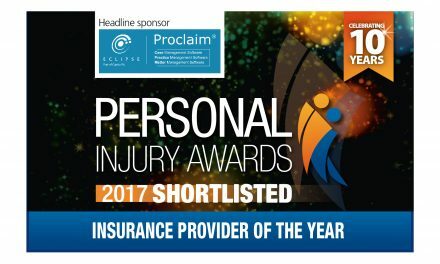 The Eclipse Proclaim Personal Injury Awards provide a unique opportunity to highlight and celebrate the excellence of individuals and organisations across the personal injury sector. We would like to take a moment to congratulate our fellow shortlisted nominees, and we look forward to seeing everyone on the night.